Does your camp have a mobile marketing strategy? I'm a mobile marketing nut. QR codes, text message marketing all of it. Regarding QR codes (see image above), their upside is tremendous. They offer tons of benefits to marketers and consumers alike. But the problem right now is that even though everyone sees these things everywhere, not enough people understand what they are or do or how to use them. Of course, this realization goes against one of the fundamental rules of a sound marketing plan, which states that if your marketing raises more questions than answers, maybe it's not a good marketing strategy to begin with. Notwithstanding, I'm banking on QR codes taking off big-time as an important component to your mobile marketing plan. 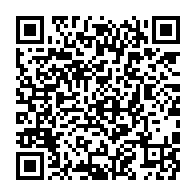 I've started a new mobile marketing blog and my first post is dedicated to QR code marketing itself. Take a look when you can.